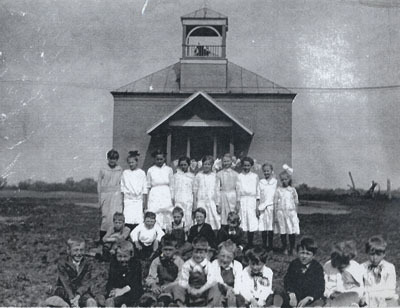 “Tin Box” School students in 1917. MODERN ADDRESS Morgan and 24th St.
-The teachers hated the nickname “Tin Box School” (the covering was sheet metal and the roof top was tin) and attempted to change it to Sunnyside. -Country Messenger, Wednesday, August 3, 1994.